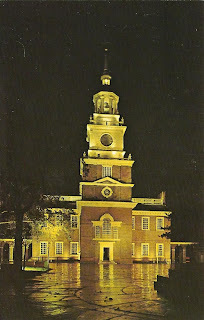 Independence Hall, Philadelphia, Penna. 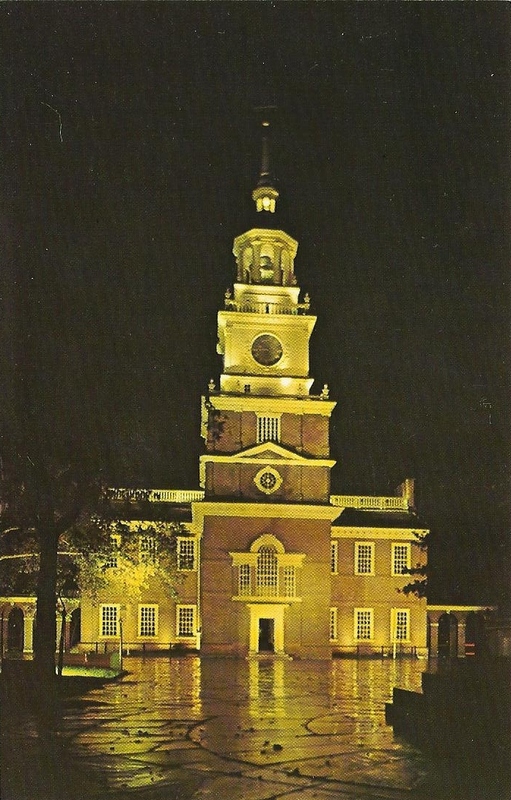 Built as the State House of Pennsylvania, here the Declaration of Independence was adapted on July 4, 1776, the Continental Congress met during the American Revolution, and the Federal Constitutional Convention set in 1787. 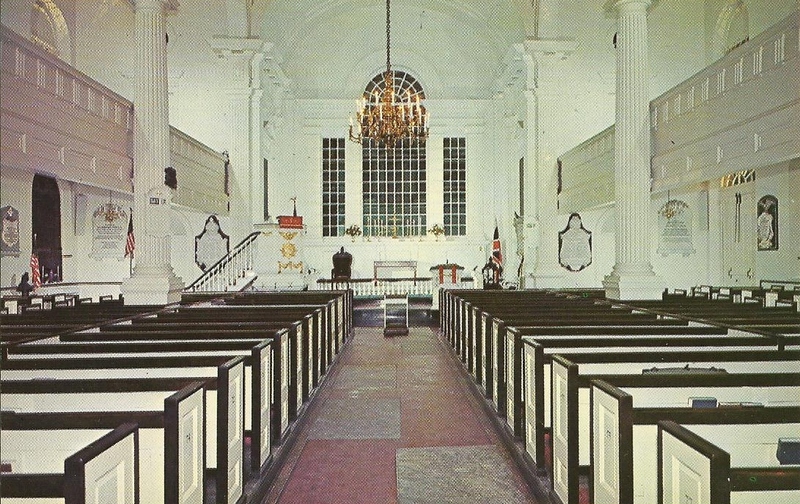 Interior showing the first Palladian Window in this country; Wine Glass Pulpit, 1770; Chandelier hung in 1744 and the "Gallery" pews with the original blue paint. 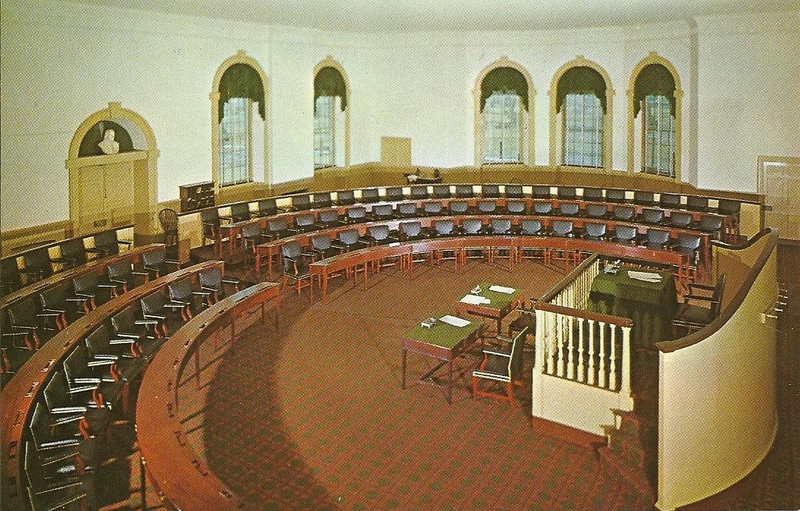 Restored House of Representatives Chamber, Congress Hall, meeting place of the House of Representatives, December 6, 1790-May14, 1800. 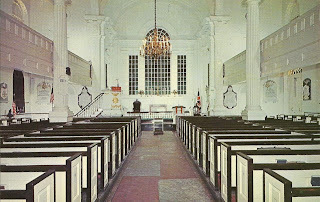 Here John Adams was inaugurated as second President of the United States on March 4, 1797. 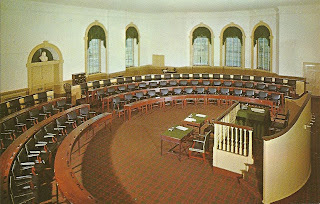 National Park Service, U.S. Department of the Interiror.